Completed in 1996, Croaker Landing received $35,000 VSRFDF grant funds to dredge the boat launch area. A 540' by 50' area was dredged to provide a 6' depth at mean low water. This boat landing provides access to the York River. In 2005, York River State Park and various partners added a 360 ft. fishing T-pier. In the future, the Park would like to improve the parking area for anglers and boaters. 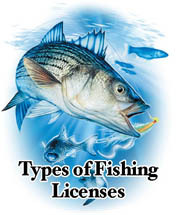 Croaker, spot and striped bass are popular species for this area. From I-64 E/W: Take the Croaker Exit 231B. Go north on Route 607 (Croaker Rd.) for three miles, then right on Route 605 and follow it to end.